It was certainly not my intention to get political on this site (I have another blog site where I get political) but this year there is a phenomenon that crosses the line from politics into religion. There has been a lot of attention on third party candidates because of the less than likable nature of the two major party candidates. 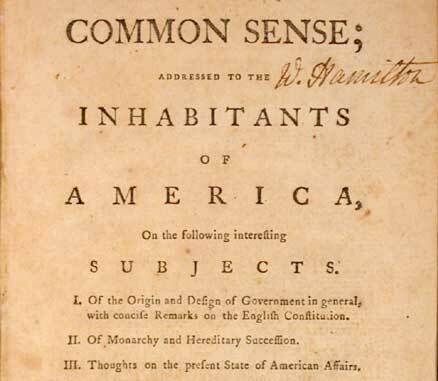 For the record, I find that Gary Johnson’s libertarianism might be appropriate for the 18th century, but just doesn’t cut it in the corporate age. I agree with many of the positions of the Jill Stein and the Greens, but they are not in any way an organized, effective political party. Well, same with the Libertarians as well, and I would never vote for either person for President. Even though I would say that I often agree with Jill Stein’s political positions, I wish she would sit down and shut up. I find her campaign completely illogical and frankly, insulting. The latest example comes in a Salon piece, which quotes her in the lede as saying, “Democracy needs a moral compass.” This is ludicrous. Democracy is a technique, a way of organizing people. It cannot have a moral compass. Only the people who practice democracy can have a moral compass. I am further bothered with her implication that “We the People,” when we do not act in the oh so pure way that Stein does, that we are lacking in a moral compass. This is exactly what you would expect Pat Robertson or Jerry Falwell, Jr. to say. I am not quite sure if this is just smug moralizing or the same kind of delusional thinking that lead Donald Trump to declare that he — and only he! — is the solution to all of our problems. The article further says that Stein said that her platform is “is an emergency job program that will address climate change and will create an emergency transition to 100 percent renewable energy.” Hmmm…Emergency this and emergency that. Actually sounds kind of un-democratic to me. This is how dictators often take over in other countries, finding an “emergency” that requires a brutally efficient fix. “I’ll just do this for you now and we can work out the niceties later.” Stein seems to think of herself as some kind of philosopher king, that if we would just give her the reins of country for a few years, she will just patch everything up perfectly in her image. But the sad reality is that she apparently has no clue as to how things actually work in our republic (we are not a democracy, by the way.) If we are to have a massive jobs program and renewable energy program, where does that have to come from? Congress of course. Have such things been proposed? Of course they have. Went no where. Ask Obama what you can get done when Congress is against you. So how many Greens are in Congress? None. Here is Wisconsin, the Greens are “supporting” four local candidates. They cannot even fill out their own state governing committee here. They can’t get a decent number of local candidates, cannot even fill out their own organizational chart and Stein thinks she is going to push a New Deal style jobs and energy program through Congress? Don’t make me laugh. 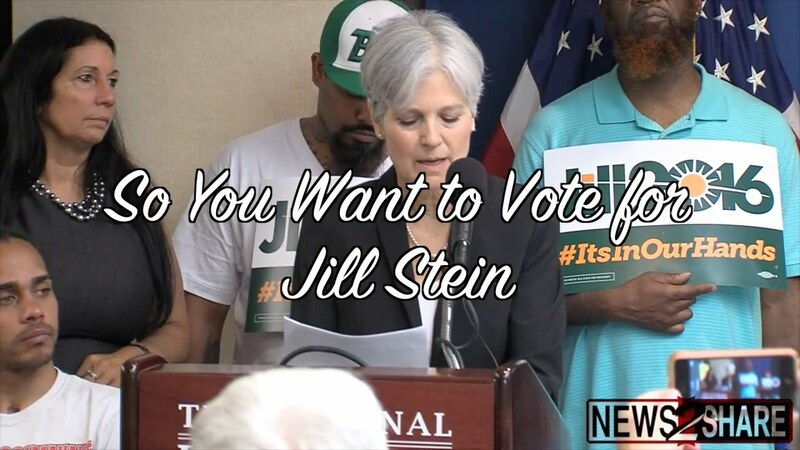 If, as Stein says, the future is not in our hopes or dreams, but in our hands, then let her and the Greens get themselves a functioning political party. Senate candidates in every state, a Green for every congressional district. Until then she is just a delusional hoper and dreamer. The same with “selling out.” We all sell out to one degree or another. The college I teach at now insists that all teachers use the same curriculum elements. Same assignments, same grading scale. I don’t think they are that great. Am I selling out by continuing to teach there? Maybe, but at least inside the system I have a better chance of effecting change. Whether we like it or not corporations are part of our democracy. They have a right to do business here and the people who run them have a right to participate in the political process. The question is not whether but rather how. Stein, in that sense is like a fundamentalist — all or none. In her case none. I find it ironic that her followers are denouncing corporate influence by tweeting from their iPhones over the AT&T network. Fundamentalism, that is to say rigidity of thinking, is just as bad in politics as it is in religion. For that reason alone, I think no one should vote for Jill Stein. The Worst of Times? I Think Not! There seems to be a chorus of voices all crying that these are the worst of times, I think there are reasons for that, which I will get to at the end of my post, but first I want to tell the story of my Grandfather. Let’s say that on the surface, it might be his story that the Trumpeteers are thinking about when they say, “Make America Great Again.” With a modest education, a high school diploma my grandfather got a job with one of the biggest corporations in America, AT&T. He made enough money so that my grandmother could stay home with her four kids. He worked for AT&T for 40 years and retired with 80% of his pre-retirement salary as a pension. Three of his four kids went to college, and got advanced degrees. His fourth child wound up at IBM in a well paying position. The American dream, right? It would seem so, but let’s take a look at the details of the story as well. My grandfather was born in 1911, so was graduating from high school in, do the math, 1929. Yes, he came out of school looking into the maw of the Great Depression. You think we have it bad, how about that? Now, yes, he was very lucky in getting his job with AT&T in 1932. I have no idea how. He got married that same year and bought a house in the suburbs of Philadelphia. And basically did the same job for the next 40 years. Second shift. Whoo hoo. Sound like your ideal career? Although he was lucky to be employed, the scars of the depression lingered. In his retirement he paid all his bills immediately because he was afraid “they would come and take the house.” He lived in the same house for more than 40 years, it had been paid for for years. But those memories obviously remained. After my grandmother had her first three kids, they faced the abyss again. The rise of Hitler in Europe, blitzkrieg in Poland and France and finally Pearl Harbor. Again, he was lucky and got to stay on the homefront, but once again, life must not have been a bowl of cherries. Rationing, shortages, complete uncertainty. Finally, the war was over and America entered its golden age. Well, except for McCarthy seeing commies under every desk. The anxiety of the nuclear age. The rise of the Soviet Union and the Cold War. Their fourth child was born in 1950, perhaps adding a bit of uncertainty to their lives personally. But perhaps the 1950s were about as sanguine as their lives held. Little did they know that all hell was about to break loose. My mother and her sister got ready to leave home as the 1960s dawned. I am sure my parents looked ahead with optimism as they got married in 1959. Just a few years later, they thought it might be all over as the Cuban Missile Crisis loomed. All around them the civil rights movement and the southern backlash was tearing the country apart in what must have looked like the second coming of the Civil War. Just when it looked like it might be resolved peacefully in 1963, next thing you knew, the president was assassinated. Johnson wins reelection in a landslide, but all hell breaks loose again as Viet Nam bursts into our consciousness and the anti-war movement joins the Civil Rights movement on the streets. Bobby Kennedy is killed. Martin Luther King is killed. Cities erupt with riots, fires and shootings. Casualties mount in Viet Nam. My uncles join the military. At any one of these points, the country probably looked as though it was going to come apart at the seams. Finally, as his retirement approached and things looked like they might be calming down, Watergate bubbled up the surface. Just two years after he retired the country was hit by the twin shocks of the oil embargo and Nixon resigning. Any of this sound like a piece of cake? Something you would like to go back to? And my grandfather, was extraordinarily lucky across all those years. But wait, there was a couple of more issues he needed to face. Just ten years into his retirement, AT&T was declared a monopoly and ordered broken up. This must have caused just a bit of anxiety as “stagflation” was the economic worry of the time. Unfortunately, my grandmother passed away soon after AT&T was broken up and just a few years later he finally moved out of the house where he had lived since 1932 — into a nursing home to deal with Parkinson’s disease, which finally claimed him in 1992. And none of this mentions some of the other lovely features of the “golden age” he lived through. Smoking rates of close to 50% among adults. An epidemic of heart disease, especially among middle aged males (which took my other grandfather at the age of 52). How about the Cuyahoga river catching fire, Lake Erie dying, smog and deindustrialization. Of course there were many good things that happened in those years and I am sure if you asked him, he would have insisted that he had a great life. And yes he did. But it was not easy, it was not golden by any means. There is a lot that is wrong with our world (perhaps more on that in later posts), but there is very little chance that 2017 is going to be anywhere as near as bad as a few years I can think of for my grandparents. The coming year cannot be as bad as 1933. Or 1963. Or 1968. Or 1941. And so on. It is my opinion that the “powers that be” want to convince us that these are, in fact the worst of times. Trump made it explicit in his acceptance speech, essentially, these are the worst of times and only I can save you. Perhaps you have noticed that many churches are the same way, “The end times are near and only Jesus (and the priest, his representative) can save us. So, don’t believe the hype. Are there going to be tough times. Of course there will be. But theses are nowhere near the worst of times. If what my grandparents lived through can now be considered a golden age, image how rosy our current times will look in the rearview mirror. It seems to me that our opponent doesn’t even know what office he is running for. He mistakenly thinks he is running for emperor rather than President of the United States. The office of president has limited constitutional powers, the president can’t just “fix everything” all alone. Donald Trump can’t, I can’t, nobody can. I ran for President to highlight the need for change, but understanding that even as President I couldn’t make those changes happen by myself. That’s not how the presidency works. If you want a $15 an hour minimum wage, congress must pass it. We need 60 senators and 225 representatives to pass that legislation. Of course we also need a president who will sign it. I am sure that Hilary will do so. All the presidential leadership in the world would not get such a bill through our current congress. Yes, we need a progressive President, but we need a progressive congress even more. In the same way, if you want an Apollo Project for renewable energy, we need a progressive congress. If you want funding for rebuilding our infrastructure, we need a progressive congress. Yes, we need a president who will sign those bills, but we need a congress that get those bills to the president’s desk. It is more important that we get Russ Feingold and many more like him in the Senate than we have Bernie in the White House. If you want increased college funding, we need a progressive congress. If you want more support for public colleges so they can have affordable tuitions than you need more than a progressive congress. You need progressive state legislatures and governors. If you want to overturn Citizen’s United you need 38 progressive state legislatures and governors. While I appreciate the confidence you put in me with “Bernie or Bust,” it is just not true. The revolution is not focused on the White House, it can’t be. You have to have this level of enthusiasm and passion for every election. Presidential, congressional, state and local. You have to get out and vote — every single time. You have to organize — for every election. If you don’t like your choice of candidates — run yourself. Every election, every vote. If the system is rigged, we have to get in there at every level and unrig it as best we can. Finally, let me say that will the President is limited in power, this is an extraordinarily important election. There may be as many as four vacancies on the Supreme Court in the next 4 years. International relations seem to be at a critical point. Dealing with gun violence and terrorism within Constitutional bounds will continue to be a huge issue. And perhaps even dealing with decisions about war and peace. In all of these issues, I trust Hilary Clinton to make decisions that are keeping with American and progressive values. I will be doing everything I can to not only see that Hilary is elected, but that we take back the House and the Senate and I hope that all of you will join me in those efforts. Get out and support the revolution vote as “Bernie-like” as possible at every level, up and down the ballot! To say that we have an issue with guns in this country is to make the understatement of the year. At the risk of being labeled as “one of those liberals who want to take all the guns away,” I believe it is time to reassess the Second Amendment. I am not a Constitutional literalist, the Founders clearly left us with a mechanism to change the Constitution and we have used that mechanism where we later decided that the founders had not gotten things quite right the first time, for example with slavery, the indirect election of Senators and women being denied the vote. So, the Constitution is not sacrosanct, it can be altered and changed — even the Bill of Rights. That being said, I am a big fan of the Constitution and the Bill of Rights and would agree that any changes have to be made carefully, thoughtfully and democratically. The other thing that has to be said is that no right, Constitutional or otherwise, is absolute. Famously, the First Amendment does not protect my “right” to yell “Fire!” in a crowded theater. Individual rights are balanced by the rights of others. With that in mind, here is my reassessment of the Second. The first thing that we have to look at is: What is the actual purpose of the Amendment? Like the other items in the Bill of Rights it must be there to provide protections from government “tyranny” (Where, of course we have another defintional issue). So, it does not protect the “right” to hunt. They would have said: “Hunting, being necessary to feeding of a free people…” but they did not say that. It also does not seem to be about self protection, if so it would say: “The police, not being able to be everywhere…” which it also does not say. So, what do guns have to do with government tyranny? Some historians say that the “Well ordered militia” clause means that the government should not keep a standing, professional army as that army could be ordered by a despot to institute and enforce a dictatorship. A citizen army would be less likely to fire on its neighbors. Another school of thought, taken from Jefferson’s comment that the tree of liberty is to be watered from time to time with the blood of patriots, is that an people armed could rise up against any despot that came to power. Either of these reasons have little to do with our modern National Rifle Association and its defense of the Second Amendment. In Minneapolis, the first accounts of the shooting seemed to indicate that the officer shot Castile after being informed that Castile was carrying a firearm. If so, this is what the NRA should be up in arms about. For example, it might be that net neutrality might have some theoretical First Amendment impact, if police raided my house because I blog on this site, that is a direct affront to the First Amendment. The same way for the NRA. A law limiting the number of bullets in a magazine is one thing, but police shooting someone for carrying a gun is a direct affront of gun rights. So where is the NRA outrage? Talking about Dallas is even a more tender issue, but I feel I must go there. Let me make a devil’s advocate argument here. IF police are acting “tyrannically” towards people of color in American cities and IF the political process is not effective in changing that, then according to NRA logic, the shooter in Dallas was using his Second Amendment rights in the just way Jefferson intended. Is this not the logic of the Bundys that the right wing defended, like in this article? Something like, when the government tramples on my rights we will respond with guns. Dallas is what that looks like in practice. Which is why I say it is time to consign the Second Amendment to the dustbin of history. In modern democracies, we do not need the threat of violence to ensure change in our political system. Black Lives Matter is a non-violent movement and that is the only way they will succeed. Accomplishing political change at the point of a gun is the logic of ISIS, not modern democracies. Dallas also seemed to show that even the “self protection” possibility of the usefulness of the Second Amendment is also fallacious. According to the Dallas Mayor, Mike Rawlings, a number of open carry advocates were attending the peaceful Black Lives Matter rally when the shooting began. Like everyone else, those armed guys ran. They did not prevent or stop the actual shooting. But they did cause problems for the police because it was certainly possible that anyone with a gun was a part of the problem. So, police spent time chasing down innocent people and trying to figure out which side they were on. This adds to the problem, it doesn’t solve anything. Guns, per se, no longer prevent tyranny. The idea that citizens could somehow compete with a professional army is clearly ludicrous. An AR-15 versus a drone? Get serious. Allowing armed groups or people, be they the Bundys, ISIS or those who feel they are fighting police tyranny, to use guns as part of their political arsenal is not democracy, it is terrorism, pure and simple. I think it is time to scrap the Second Amendment. Now that is not to say that we need to eliminate guns, certainly guns have legitimate purposes, hunting and home defense certainly. But the idea that guns are some kind of human right, that they have some sort of political purpose, that violence is a legitimate political act, is an idea whose time has passed. With the rise of reactionary right wing parties in Europe, Brexit and now Donald Trump, there has been much talk about racism. And that is certainly a term that can used to see the commonality between those movements. But it actually goes deeper than that, and reflects something actually worse than racism. Tribalism. Clearly if we have a neurohormone that prompts in-group versus out-group behaviors, this is a phenomenon of deep evolutionary significance. Tribalism is worse than racism because it has no boundaries. It certainly true that there are no “sub-species” or biological “races” of human beings. But it is true that there are some physignomonic differences between people: skin color, eye shape, hair texture that might indicate “races.” We know this to be literally skin deep, but it is understandable that people might see these as real differences. But tribalism is much more insidious. Let’s look at Brexit for a moment. I saw that one person reported that some elderly people seemed to think that voting “Leave” would mean that the Polish people in their village would literally have to leave (sorry, can no longer find the reference, so this will have to do.) Poles, Italians and Britons are all “white” are they not? Perhaps, but they are not of the same tribe, so, for some folks, they have to be separated. The same is true here in the US. At the turn of the 20th century, Poles and Italians were considered as “non-white” or “ethnic” much like the Irish before them. Even the infamous KKK doesn’t really believe so much in “White Supremacy.” Historically the KKK has opposed Jews, Catholics and immigrants. Mostly such people are clearly of European “white” heritage. So what gives? It is tribalism, pure and simple. And the tribe gets to decide who is and who is not a member, which is why tribalism is actually more dangerous than racism. Racism has its limits, tribalism does not. For example, relating to Islam we have a sliding series of definitions. For some Americans, all Muslims are the same and clearly not a member of “our” tribe. But within Islam there are several (many?) tribes. The two most famous are the Sunni and Shia and each thinks the other “not true” Muslims. So much so that they are willing to kill people in the other tribe. We see a similar thing here in the US. We are used to thinking of Evangelical Christians as group who share common beliefs. But it turns out, in surveys carried out the Christian polling company, Barna, that evangelicals don’t really believe their own stuff. “Evangelicals” are less a religion and more of a tribe. There are markers of their tribe: voting Republican, being anti-gay, being anti-abortion and so on. But it is not even clear that they really believe those things or are just using them as markers of tribal membership. Markers of tribal membership is actually a huge problem. But this just begs the question, where does one “race” begin and end. What is “white culture?” Is it pickup trucks, funnel cakes, beer and guns? Or is it nuclear physics, space exploration, Shakespeare and classical music? I hate to say it, but a large gathering of Americans like you are likely to see this weekend does not scream “cultural superiority” in any meaningful way. White “supremacy” is simply tribalism, and Heimback’s statement above is the purist distillation of that tribalism. It is tribalism we must fight. Yes, at first the separations are large, say, blacks from whites. But the fault lines then become more numerous. Jews from Christians, Shias from Sunnis, gays from straights, French from Germans. And so on, down to the family unit? Even there people can be expelled from the tribe. Happens all the time. As the tribalists rise, all over the world it seems: UKIP in Britain, Le Pen and the Front National in France, Hofer and the Freedom Party in Austria, the danger is clear. Hofer, which Donald Trump echoes, uses the phrase “Austria First” as his political slogan. But this is but the first step, as we have seen before. First is “Austria First” and then the right kind of Austrians and then the ethnic cleanings begin. There is no practical end to the divisions that tribalism can bring between us. If we are to learn the lessons of the 20th century, we free thinkers have to fight the tribalists tooth and nail. That is the real fight on our hands, between those who want to make the tribes smaller and smaller and those who want to see our common humanity and expand the tribal borders. Tribalism was the underlying issue of Brexit. It is an underlying issue in many U.S. elections. Thank you very much for letting me become a full member of the community, it is rather humbling to be in such company and I hope that I can live up to it. First a little about myself. I live in Wisconsin and am a recovering Catholic. I was always pretty uneasy in my religious faith. I thought the people, overall, were pretty nice but in terms of prayer and such, nothing was happening inside of me. As I continued my Catholic education it all made less and less sense and one day when my church put up two displays next to each other, one “supporting the troops” in the latest war next to the crosses decrying all the “babies” killed in abortions, I could no longer take the hypocrisy and left. Since then I have felt it necessary to be an anti-theist even more than an atheist. I teach psychology at a local technical college and am part of the Professors in Poverty movement. A few years ago Critical Thinking was added to my teaching portfolio, which I have enjoyed tremendously. Demographically, I am completely out of step. I am a very late Baby Boomer, but I waited a long t ime to have kids, so have a kid in high school and one in college as I approach retirement. I was a stay at home dad for almost 10 years, so have experienced life on the “minority” side. As for what you can expect here, the title of the blog might give you some clues with its blending of Thomas Paine and Nick Lowe. I was toying with the title: “Atheist of Cool,” mostly because “Jesus of Atheism” was a bridge too far. proach. Thinking ahead has never been my strong suit. I hope you will take time to introduce yourself in the comments and that we can have an interesting conversation as time goes on.